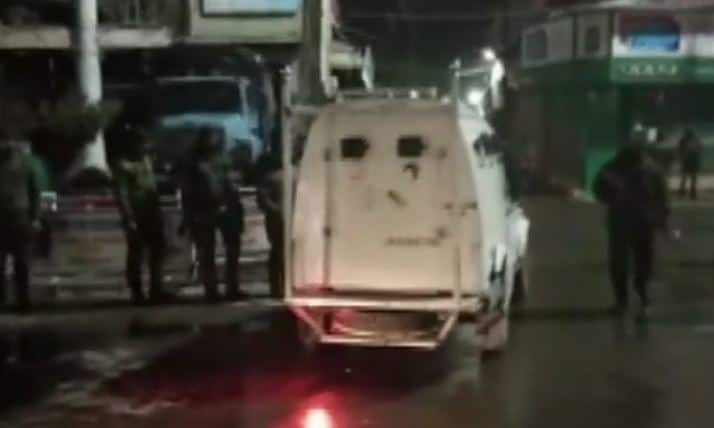 SRINAGAR: A grenade was lobbed by terrorists on a CRPF party near Palladium lane at Lal Chowk in Jammu and Kashmir’s Srinagar district on Sunday. The attack took place hours after five terrorists were gunned down in an encounter with security forces in Kulgam district. Jammu and Kashmir police said that the five terrorists killed were identified as Waseem Ahmad Rather, Aqib Nazir Mir, Parvaiz Ahmad Bhat, Idrees Ahmad Bhat & Zahid Ahmad Parray. The police added that the terrorists were from a combined group of Hizbul & LeT but their exact affiliations are being ascertained. Police have recovered incriminating material such as arms & ammunition from thee site of encounter. “Pertinently no collateral damage took place during encounter. Bodies of the killed terrorists were handed over to their families after completion of medico-legal formalities,” a police officer told ANI.